… we can see your name, postal address, email address and your phone number (if you’ve chosen to give it). This is all stored in the marketplace or website you’ve used to shop with us, and is not transferred out by us, or saved anywhere else, unless we’re using it to contact you via email, creating a record in gmail or mailchimp (our mail providers). We don’t share any of your personal data with anyone else, for any reason. If we print two copies of your packing slip or invoice by accident, one goes in a shredder and then into the composter, while the other one comes straight to you. We only use your data to process and send out your order, or to contact you about your purchase. What do you mean by marketplace? You might have shopped with us via: tictail, folksy, etsy, ethical.market (formerly the lost lanes/the little lanes), indiegogo or gfw. These organisations are the ‘controllers’ of your data, and you can contact them if you would like to have your personal data removed from their site and records (which is a new right you have under GDPR), or click the links if you want to know more about their privacy policies. And if I shopped with you via facebook? Facebook, Twitter, Instagram and this site, WordPress also have their own privacy policies if you’d like to find out more about how that works. Hello. I’m Katy, one of the co-founders of Mimi & Will, and I want to talk to you about Black Friday. When I lived in America in 1999, I had my purse stolen in a bar on the Upper East Side, the night before Thanksgiving. Luckily I was a penniless student at the time (and I’d just got a round in), so no major harm done. I had my Metrocard in my back pocket so I was able to get home, and ironically, my $20 mugger money was safely stashed in my coat pocket, so I had enough cash for the barest of essentials until the banks opened again the following Monday. This did mean, however, that I missed out on my first chance to experience the cultural phenomenon that is Black Friday. With internet shopping in its infancy, our local mall opened its doors at 6am to herald the start of the Christmas shopping season. In a way, I admired the restraint shown by retailers in the US, and the clear delineation in the promotional calendar. After all, I’d spent the last few weeks in August before I left the UK stacking shelves in a supermarket with selection boxes. Fast forward to 2015, and restraint is not a word you can associate with Black Friday. With the advent and embracing of shopping online, the 6am opening stopped being enough. The pressure for: Bigger deals! Instant access! Unmissable savings! Time-limited price slash! has intensified year on year. The fact that Wikipedia needs a Violence and Chaos sub-heading on its Black Friday entry should be enough to give any shopper or retailer pause. So Jo and I were delighted when our stockist, The Lost Lanes, decided to take an alternative approach. This year on Black Friday they’ll be giving all profits to the Starlight Children’s Foundation. You can find out more by reading founder Raquel’s excellent blog post, and shop here on Friday (or any time) to show your support. Of course, while our stockists are fully prepared for the rush over the next few weeks, we are treating the festive season as a marathon, not a sprint. We’d love for you to be able to shop peacefully, at your leisure, knowing that you can buy once, and buy well, and not kicking yourself because you missed a one-hour-only-never-to-be-repeated flash discount. Let’s make this season about the real joy of giving, and remember that everyone involved in our production chain deserves the fair reward we give them for contributing to our product. That’s not to say we’ll never run discounts, but we’d like to do it when it makes good business sense for us to do so, not because we feel we ‘have to’. We already know we can’t compete with a £2.50 supermarket t-shirt, but we don’t want to, we like the fact that what we do supports the UK creative industries, and supports the use of fair labour overseas. We know that you want the option of better quality, more ethically-produced and well-designed choices for your children, and that’s what we can provide. We work hard to ensure that such a high quality product comes in at a realistic and fair price point, and we’ve done exceptionally well to freeze the price of our t-shirts for the last two years without compromising on quality or our values. We’re really heartened to see that this is a stance more and more independent retailers and designers are taking. 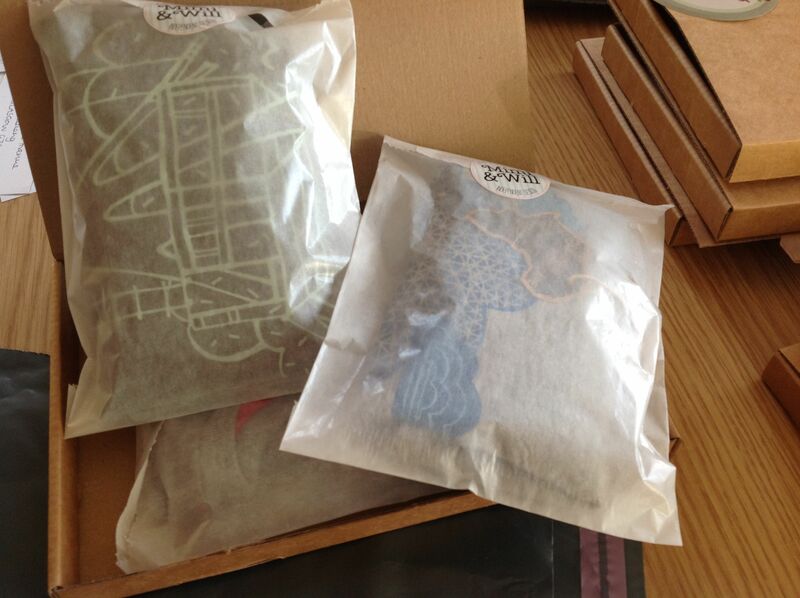 We were thrilled to see this blog post from Laura Spring and Hilary Grant yesterday. There’s a discussion on Twitter this evening for Folksy sellers about their views on handmade and deep discounting practice – check the hashtag #folksyhour to see what others are thinking and saying. We’ll keep this post updated if we hear of any more, and do let us know in the comments if you’re hearing similar messages from more of your favourite brands. 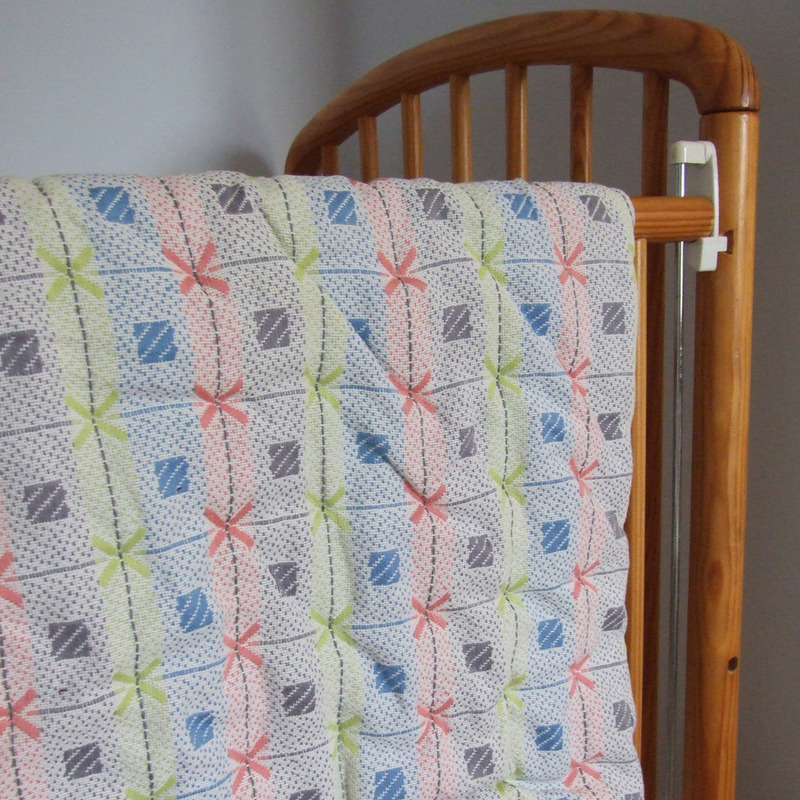 For a limited time, the handmade and vintage marketplace, Etsy.com is offering £5 off your first order. 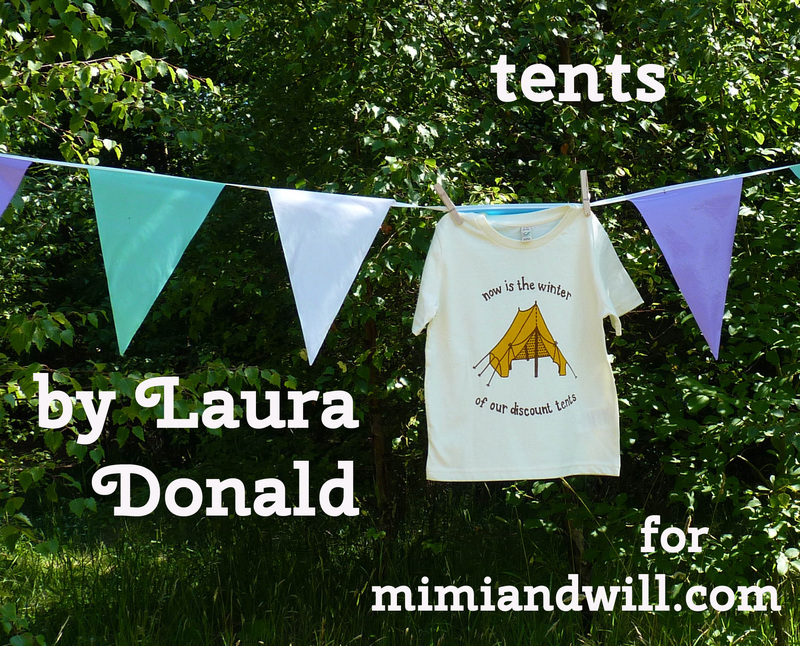 To sign up and claim your discount (we suggest you shop wisely and treat a little person in your life to a Mimi & Will t-shirt), simply follow this link. 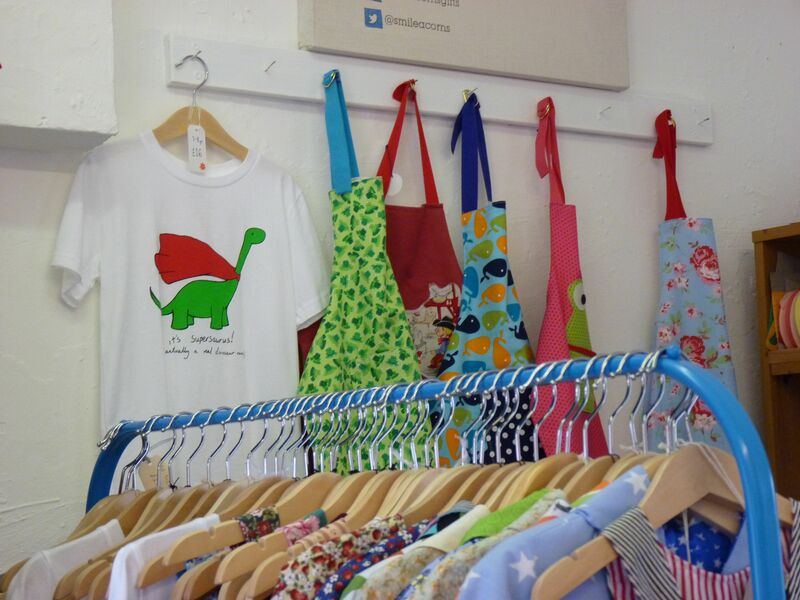 We had a visit to Smile Acorns, the first retail outlet where you can buy a small selection of t-shirts from our range! Located on lovely farmland in the North West of England, Smile Acorns is run by Emma, a fellow mum and maker of lovely childrenswear. The shop is part of a larger farm complex, called Inglenook Farm. Other shops on site include a guitar shop, traditional farm shop showcasing the best of the region’s local produce, including Lytham Coffee, and the main product of the farm itself – essential oils and soaps from the fields of lavender growing outside! 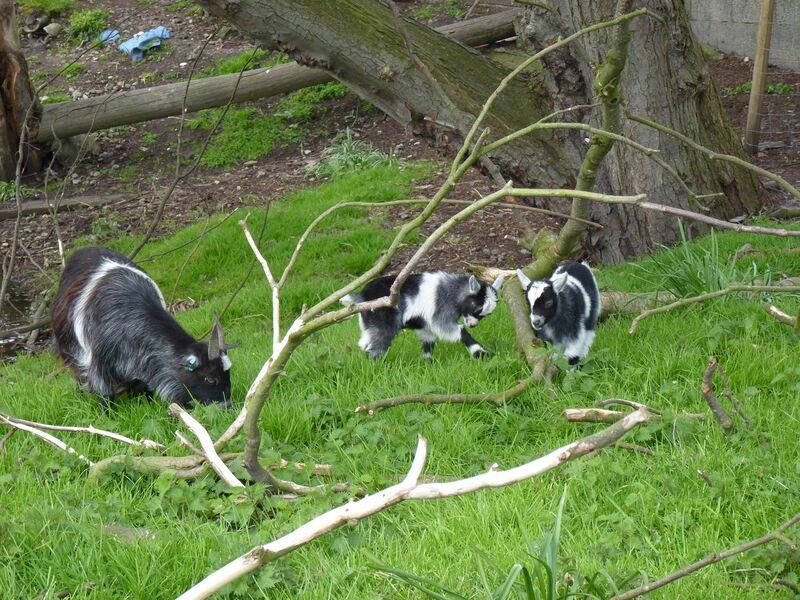 The stars of the show at the moment have to be the newly-arrived twin baby goats. There’s also a traditional team rooms and a barn for hire. Last week was an Easter fun day for children, but chickens were also welcome, and keen to get stuck in! So we thought we were back and then the household got poorly again – is it just us or has everyone had the non-stop sniffles since about October? Here’s a round up of things to get you through if your household is similarly afflicted. 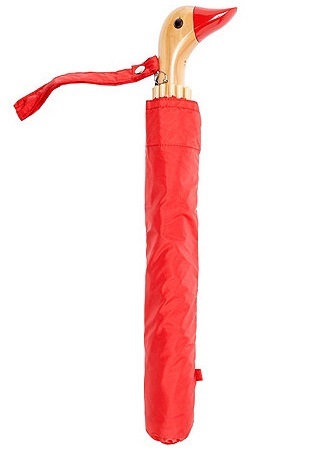 If you must go out – remember your brolly! 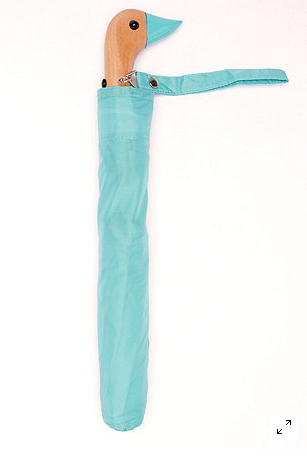 We love this Duckhead umbrella by ethical clothing superstars American Apparel, it’s available in the Mimi and Will colours, too. Of course colder days mean clearer nights, did anyone manage to spot Mars recently? 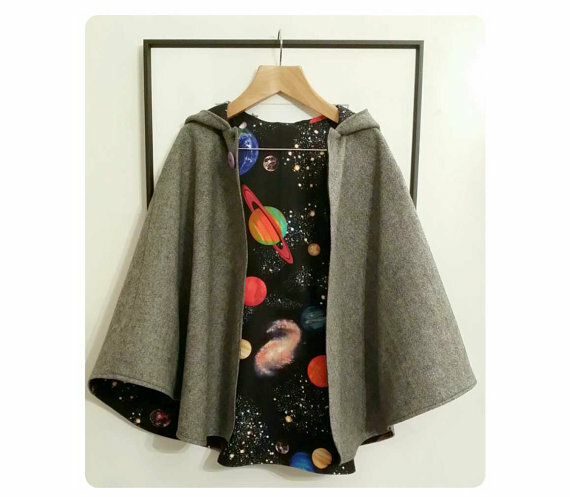 Never fear, the planets are fully aligned in this space cape from one of our favourite designer-makers, Sewing Circus. If you’re going to sneeze, it might as well be an educational one! 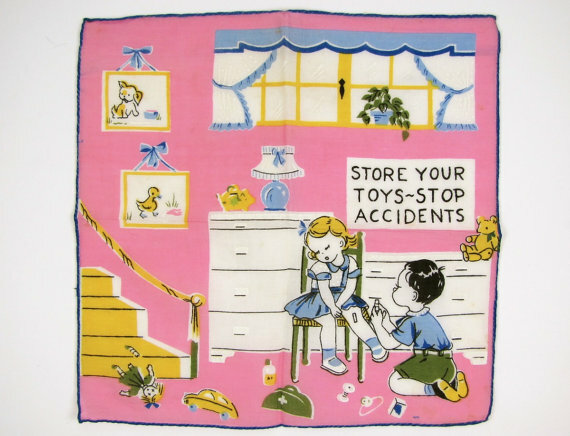 Ouch at the pricetag, but what a stunning vintage hanky from Orbiting Debris on Etsy. 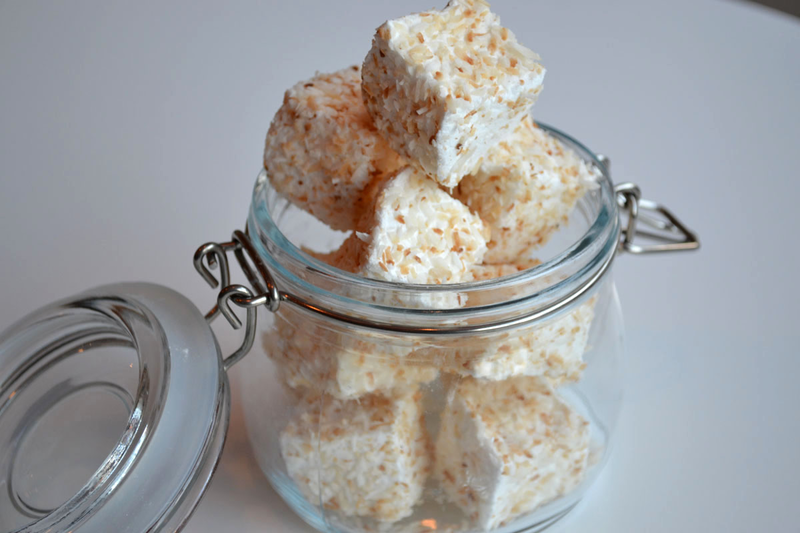 And if all else fails, well, there’s always Marshmallows, hot chocolate and a movie… We suggest you follow Edinburgh-based Burgh Bakes on Facebook for special deals and news about new flavours *cough* Prosecco and Rose *cough*. And if you’re under the weather, we hope you’re feeling better soon. 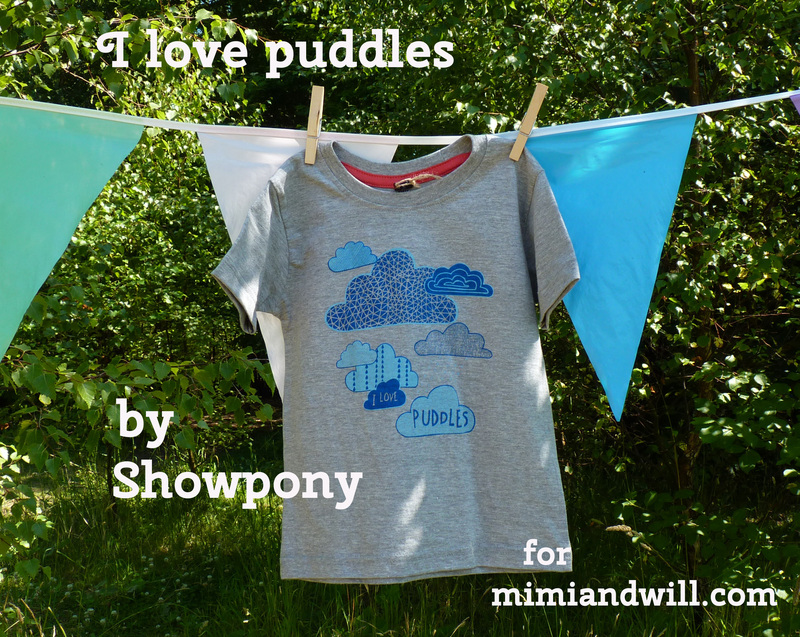 After a blogging hiatus at the start of 2014, we’re back with some Mimi and Will news. Behind the scenes we’ve been beavering away with new plans for the rest of this year. 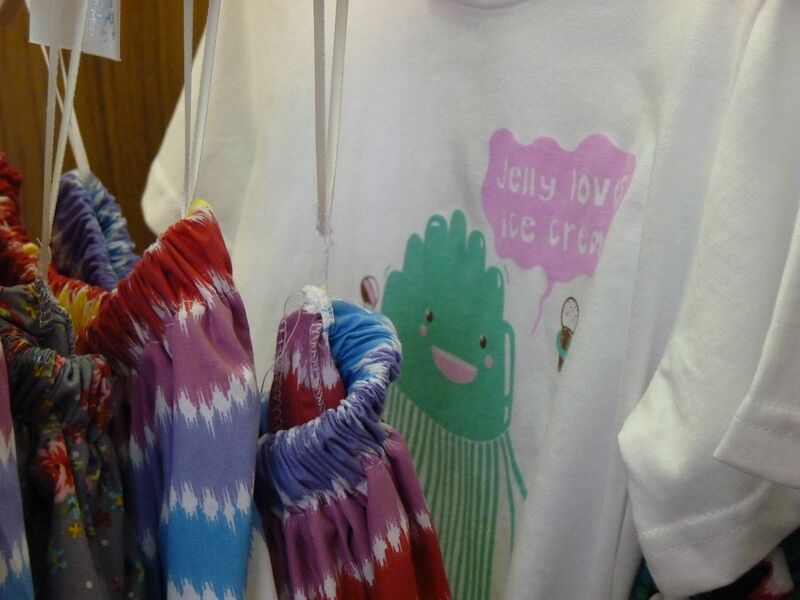 We’ve been talking to a handful of very nice shops about stocking our t-shirts so that more people can discover the tops that you and your children love. We’ve been working on our branding, and making plans for an updated website and a photoshoot now that the light is starting to last past tea time and the weather is brightening up, too. We also have some new designs on the slate, and have been collaborating with some really exciting people from the worlds of illustration, art and design. We can’t wait to show you our new samples later in the year once our new micro collection is ready. We’ll be back again soon with more news, thoughts and musings – we have plenty to tell you. But don’t forget in the meantime, you can always find us on Facebook and Twitter for more frequent updates – see you there! Catching up with the postman! Gosh, December seems to have sneaked up on us out of nowhere! I think both Jo and I and assorted family members have been poorly with the usual winter illnesses for the last month or so, too, so time seems to be doing strange things at the moment. We’ve managed to attend a few Christmas sale events where we were delighted to start selling our t-shirts in person, and we’ve received a lot of positive feedback on both the originality of the designs in our collection and the high quality of the t-shirts and prints. We’ve also set up a way to buy online through our website, we’re just trying out the format at the moment, so if you see a t-shirt you’d like which appears to be missing from the collection, do please contact us and we’ll set up an invoice. 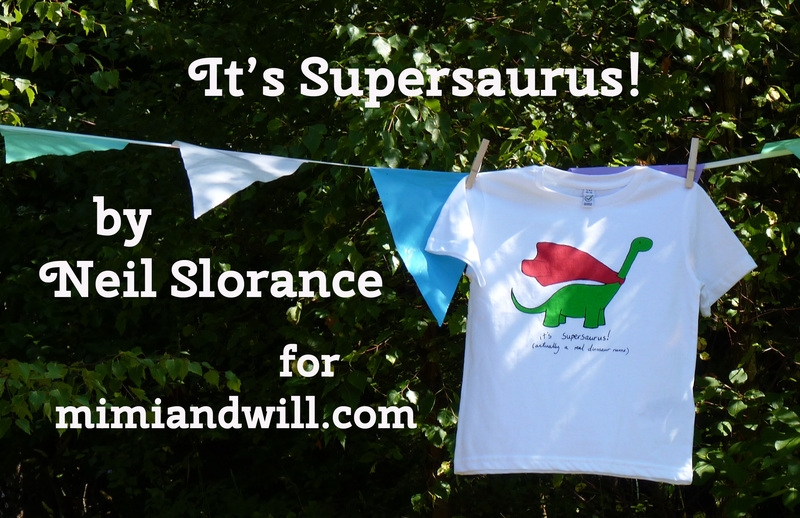 We have a few t-shirts in stock and ready to send right now – including Supersaurus, Tents, Read more books, Puddles, Jelly Loves Ice Cream and Lion. Puffer and Treehouse are currently sold out, but they’ll be back in stock soon! We’re now also taking orders for t-shirts on a wholesale basis, whether you’re an independent or chain, online or bricks and mortar shop we’d love to hear from you. 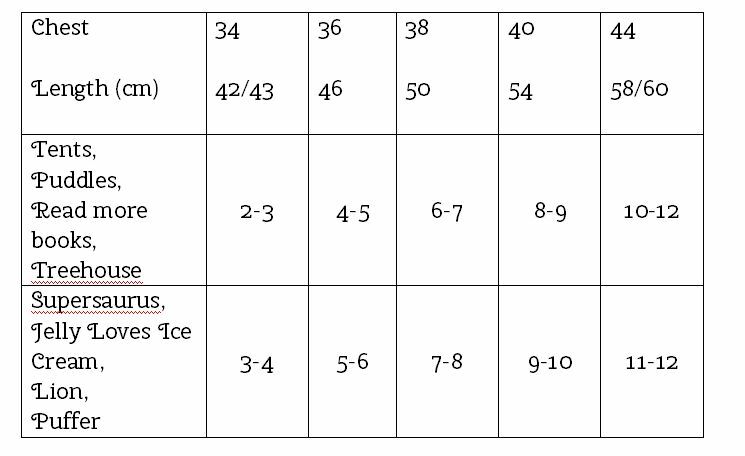 Here’s a reminder of our sizing information, and our full range is available to view here.